There are so many things that are involved in the buying of stocks that you need to know about if you are new to the financial market. You need to know the different kinds of stocks that you can invest or trade in. New investors should clearly understand how to buy their stocks and the criteria of choosing the right stocks to invest in. You are also required to know some trading styles to choose from if you decide to start trading in stocks. 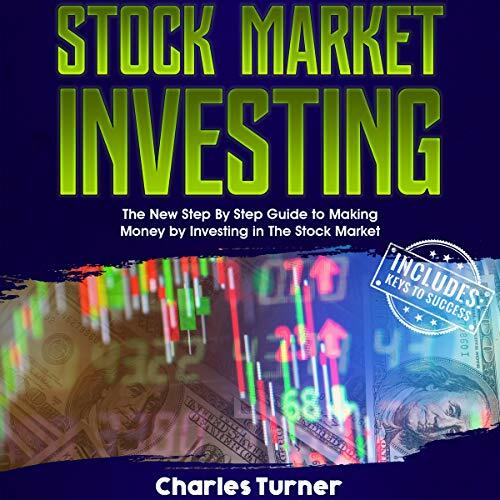 This information is available in this audiobook, together with stock investing tips that will help you along the way and reveal to you how you can maximize your returns and minimize your losses once you start trading or investing in stocks. Start by mastering a few financial terms, then take off on the right note. This is just what every beginner needs to get started. Well written easy to understand guide to the stock market investing. Enhanced my understanding significantly. The technical section was particularly well explained. This book is AWESOME . It touched base with everything I'm going through at this time. I think everybody should try this book.